Lee Stange proved he was back from injury in late-July 1967. He did so by shutting out one of the top teams in the American League, the Minnesota Twins, on three hits at Fenway Park, according to The Associated Press. "You can't get much better pitching than that in this ball park," Red Sox coach Bobby Doerr told The AP of Stange's performance. "And beating the Twins, one of the top contenders for the pennant, was like winning two games." The Red Sox themselves were a top contender for the 1967 crown. And, with Stange's help, the team went on to win the pennant. Stange himself went on to play in three more seasons, for time in a total of 10 major league campaigns. After his playing career ended, Stange spent another decade in the majors, as a pitching coach. Stange's long career in baseball began in 1957, signed by the Washington Senators out of Drake University in Iowa. With the Senators, Stange started at Class D Fort Walton Beach, then moved to Class B Fox Cities for 1959. In 1961, Stange made AAA Syracuse, then made Minnesota. Stange got into seven games with the new Twins that year, then stayed into 1964, when he was traded to the Indians. In 1963, Stange went 12-5, with a 2.62 ERA. Stange then spent into 1966 with Cleveland, serving as both a starter and as a reliever. It was in June 1966 that Stange arrived with the Red Sox, an organization with whom he would spend much of the next quarter century. By August, Stange was pitching a nine-hit shutout against his old team the Indians. "Every time I turned around someone was getting a hit or getting on base," Stange told The AP afterward. "I had to work all the way." Stange went 7-9 for the Red Sox in 1966. Then, in 1967, Stange went 8-10, with a 2.77 ERA, as he helped the Red Sox to the World Series. Stange got into Game 3, going two innings in the Red Sox loss. Stange played three more seasons, the final half season with the White Sox, ending his playing career. Overall, Stange went 62-61 over his career, with a 3.56 ERA. 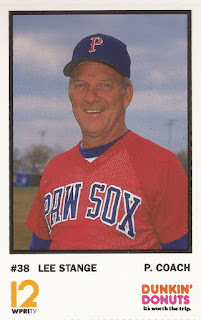 By 1972, Stange was back with the Red Sox, as major league pitching coach, staying through 1974. In June 1973, Stange spoke to The AP about pitchers who get big leads. "You've got to keep bearing down and not let up," Stange told The AP after a 9-2 Red Sox win. Stange continued as a major league pitching coach almost straight through to 1984. In between, he served as coach for the Twins in 1975, then the Athletics from 1977 to 1979. Stange returned to the Red Sox for 1981, staying for four seasons. 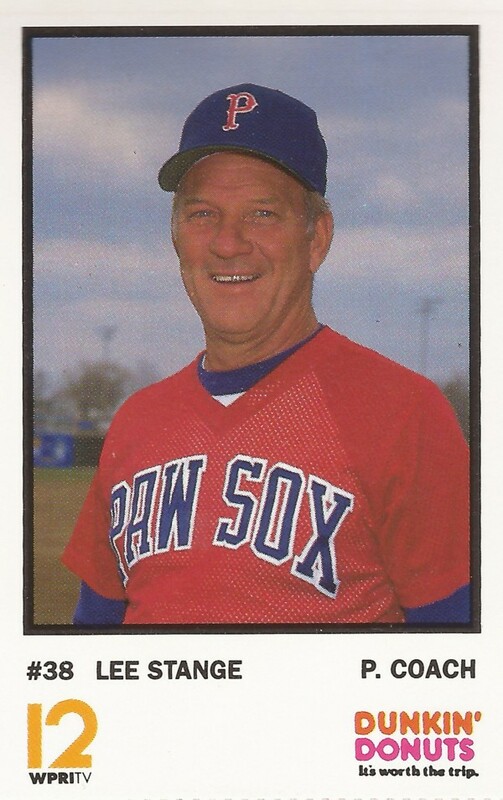 From there, Stange served as a roving coach, including spending part of 1990 with AAA Pawtucket. In 1982, Stange worked with future Hall of Famer Dennis Eckersley, trying to keep him healthy, according to The AP. "The mechanics get bad and he's putting a strain on his shoulder," Stange told The AP. "Next thing you know, he's got a sore arm. He's got good enough stuff and enough control that he'll be OK if he just stays within himself."